RICHMOND, Calif. (KGO) -- A possible hazardous materials spill in the water near the Chevron Refinery in Richmond has been contained, according to Chevron officials. In a statement just released by Chevron officials, they say, "The refinery has conducted a thorough check of its wharf operations and does not believe it is a source of the material. Chevron is working with the ship operator to consider other potential sources." The spill was "quickly boomed by our emergency response team," according to a statement from Chevron. "This morning around 6:30 a.m., a soot-like material was identified in the water between a berthed ship and our long wharf," Chevron officials said in a written statement. "The material is contained and we are investigating the source." 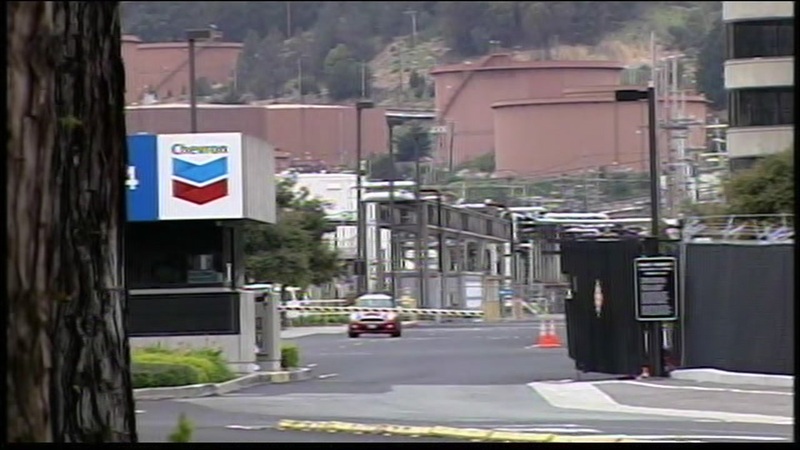 Chevron officials did not say how much of the material was spilled or what they think it is. Contra Costa Supervisor John Gioia first reported the spill of a "black solid substance" via Twitter at about 9:20 a.m. The Bay City News contributed to this report.